Keep your Jeep starting smoothly and quickly on the coldest of winter mornings, and help it warm up faster after start-up, with an Engine Block Heater available from JustforJeeps.com. 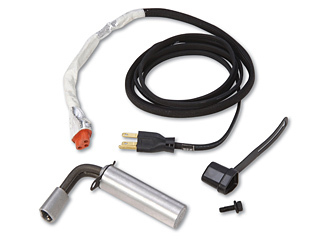 Compatible with Jeep Grand Cherokees built from 2011-2018, the Engine Block Heater is outfitted with plug-in wiring unique to each application. JustforJeeps.com offers a complete line of authentic Mopar aftermarket parts for your Jeep for less than you'd pay at your local dealership. Order online or call JustforJeeps.com at 888-651-JEEP (5337).